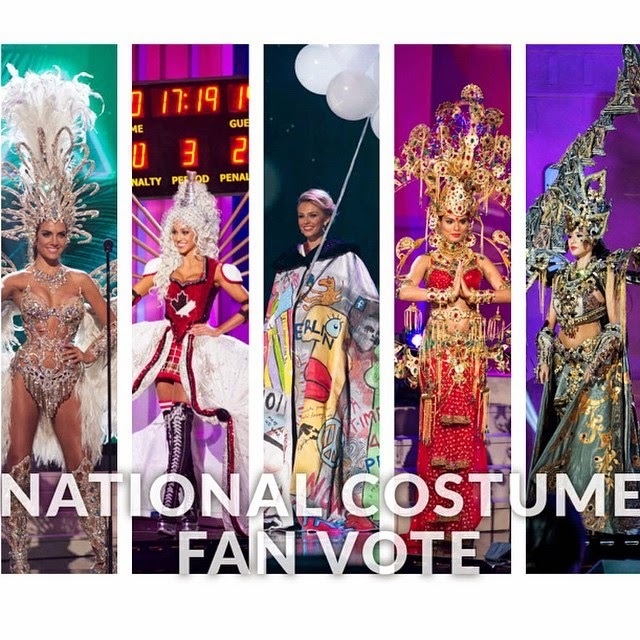 Home BEAUTIES CHANEL BECKENLEHNER ELVIRA DEVINAMIRA JOSEFIN DONAT MARY JEAN LASTIMOSA MISS UNIVERSE NATIONAL COSTUMES NOYONITA LODH PAGEANTS VALENTINA FERRER Miss Universe 2014 National Costumes: Miss Philippines' cake-like costume, one of the worst? Miss Universe 2014 National Costumes: Miss Philippines' cake-like costume, one of the worst? The Miss Universe 2014 candidates had their national costume presentation right after the preliminary competition the other day, but it was only aired Thursday night (Friday morning PH time). Sadly, our dear Miss Philippines Mary Jean Lastimosa didn't shine in her colorful costume which netizens described as cake-like costume. And many considered the Colombian-designed costume as one of the worst among the Miss Universe 2014 national costumes presented. I'm not gonna defend her this time. It's really ugly, sorry.